DrSkinSpa.com is an Authorized Retailer of DermaNew. All Products are Guaranteed Authentic & Fresh. 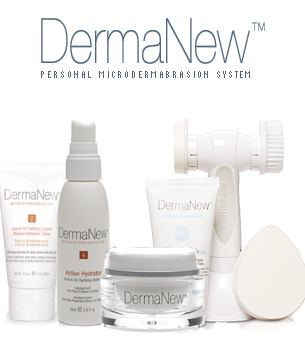 DermaNew offers a complete microdermabrasion system in the form of many unique formulas. In this product line, you will find a plethora of moisturizers, mousses, gels, masques, foams, creams, sun protectors, cleansers, body washes, serums, bleaches and lighteners, and exfoliants. These products can accomplish a great number of things and are suitable for all skin types—sensitive, dry, oily, a combination of these, or normal. There are formulas created specifically for acne and excessive oil. You will encounter products meant for your whole body, your face, your eyes, your feet, and your hands and nails. There are things that can be used during the day or overnight, and the line also includes tools (like for callous softening) and kits containing a selection of several products. With DermaNew, you will instantly notice a change in the look and feel of your complexion. What’s the secret? The answer lay in one key ingredient: corundum. Corundum, also known as aluminum oxide, gently removes the top layer of skin (or the stratum corneum), which is mostly dead skin cells. This leads to an instant skin resurfacing that is both safe and incredibly dramatic. By removing dead and unnecessary skin cells, you are immediately revealing a softer, healthier, more vibrant layer of skin. Many people don’t realize that by only using a regular cleanser, you are actually letting the dead skin cells remain there and continue to form an undesired extra layer on your face. Let your skin breathe. 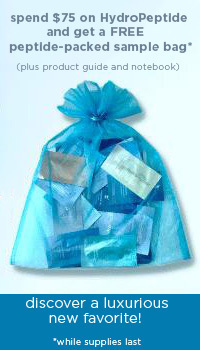 The corundum is the primary ingredient, but DermaNew has also included a handful of other natural and pure components. When you apply DermaNew to your skin, you will also be exposing it to things like green tea and carrot and grape seed extracts, all clinically proven to be beneficial in the process of skin healing and treatment. It is only with such an extraordinary combination of ingredients that DermaNew is able to bring about positive changes so quickly.